No more ibtool, genstrings or dragging xib and strings files around. 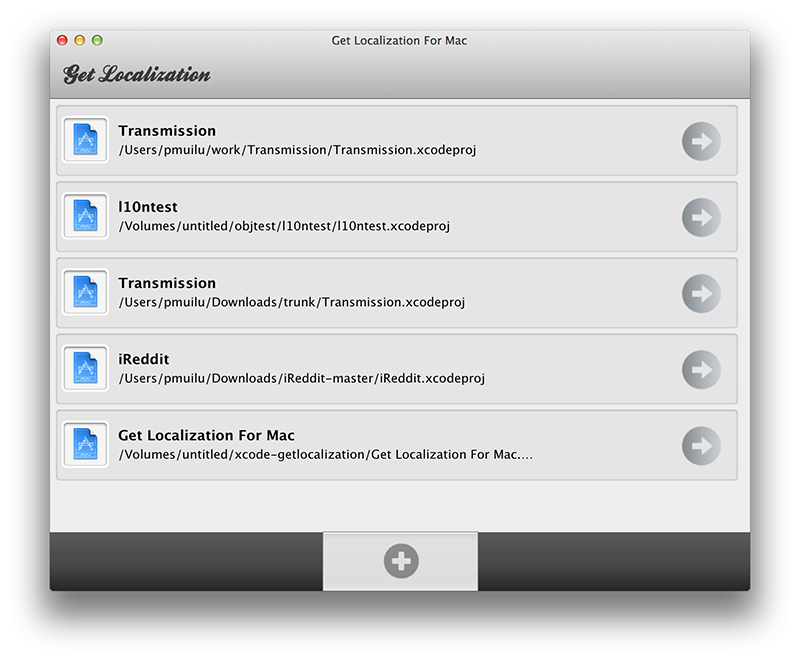 Get Localization for Mac is here! 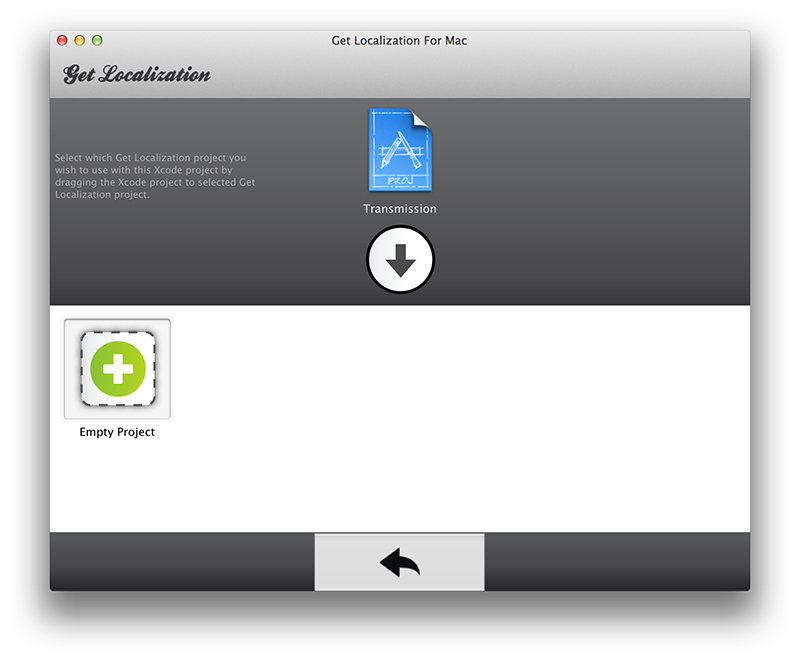 Get Localization for Mac is by far the simplest way to localize your iOS and Mac OS X apps that have been developed using Xcode. It manages all the files and it generates the strings files from your Objective-C and XIB files and updates them. It also syncs them between Get Localization and your Xcode project. Just select your .xcodeproj file, log-in and select the project where you wish to sync your strings files and you are ready to go. But first let’s walk through how to internationalize your iOS or Mac OS X app. If you are familiar with internalization for iOS and OS X you can skip this part. 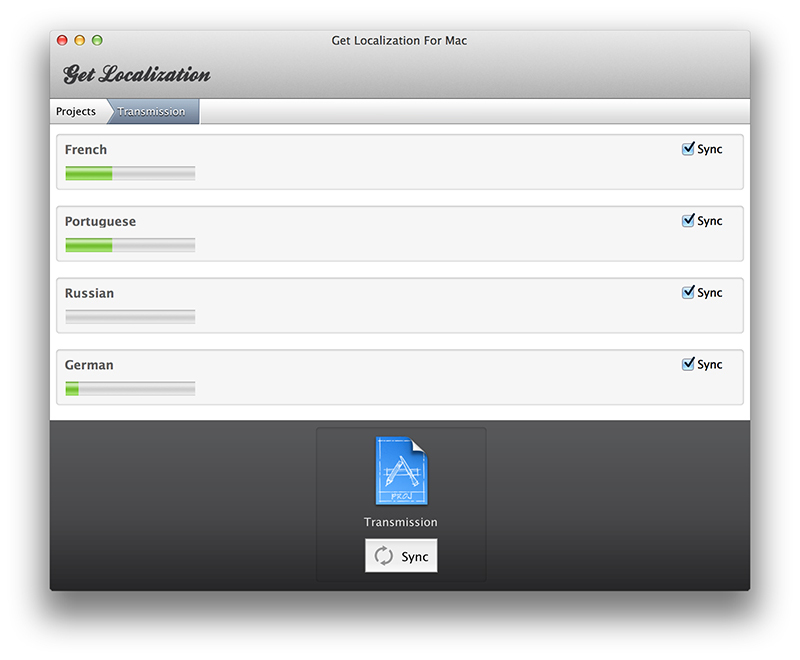 Get Localization for Mac will automatically manage all your XIB files and related strings files. All you have to do is to select in Xcode which XIB files to localize. 2. Click the ‘Localize’ button. When Xcode asks if you want to localize, choose ‘yes’. It’s also recommended to select English here as a language as the BETA version only supports English as a master language at the moment. You don’t need to add any languages here, rest will happen magically. 3. This will move the selected xib file to en.proj directory. This is normal and required by the process. Language specific folders and xib files are built automatically for you by Get Localization for Mac when you choose to sync the files. That’s it. Now your app is ready for localization. You can add multiple Xcode projects to Get Localization for Mac to sync them easily. Just drag’n’drop your Xcode project to a new empty Get Localization project or choose any existing project you have access to. If you have any existing translations in your project, they are updated as well. Please note that if your project is big, it may take a moment to process all your files when uploading for the first time. 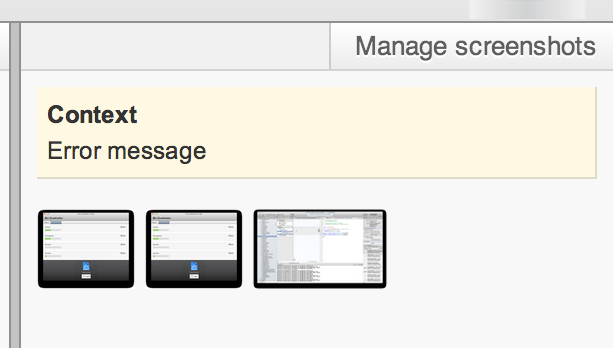 You can choose which languages to sync to your Xcode project. Just simply click “Sync” and latest translations are updated to your app and new strings files are generated and sent to translation. Please note that Get Localization for Mac is an early beta version. It will be later available through Mac App Store but now during the public beta phase you can download it via the following link. Please report all the bugs or problems that you may find by creating a ticket in our support system.